This honey crystallises very quickly to give a creamy texture. It has a light, summery sweetness reflecting almonds and orange peel. 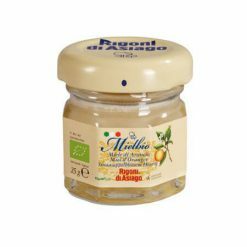 Mielbio Organic Orange Blossom Honey is organic, gluten free and contains no genetically modified organisms. It is delicious on bread or toast and is well suited to sweeten tea.